Wild Eye Releasing has opened the doors to the House of Afflictions with a new poster and trailer. The latest supernatural thriller from U.K. director Anthony M. Winson (The Witching Hour, Unholy) follows a crime author mourning the loss of her child as she tries to start life over in a new home. She soon discovers that she is not alone in the house. Is something from her past haunting her, or is it something deep within the house itself that wants to ensure she remain restless forever? Kate Beckley was once a best selling crime author, but it's been years since her last novel following the disappearance of her daughter, Julia. While attempting to write again in a new home, Kate finds herself haunted by strange visions and paranormal occurrences - which become worse each night. Has Julia returned, or is something more sinister preying on this grieving mother? 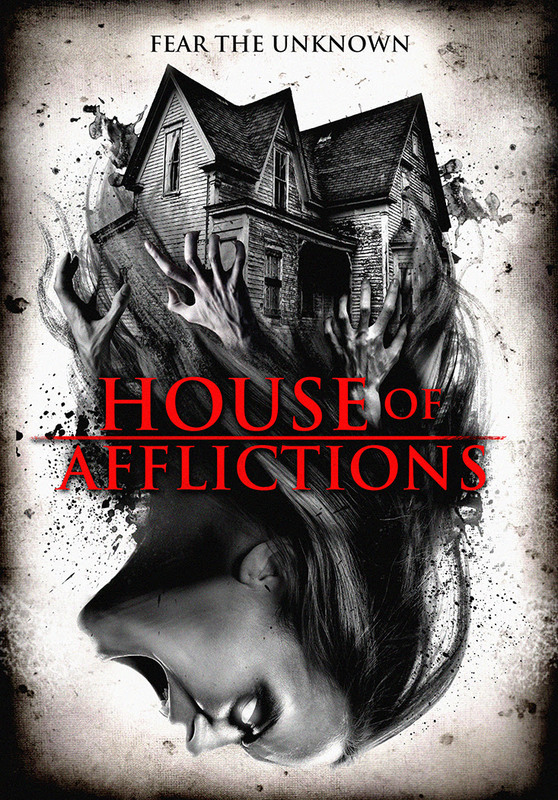 'HOUSE OF AFFLICTIONS' will be released on DVD February 2016 with exclusive bonus features.